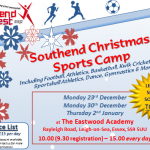 SWSSP Christmas Sports Camps Launched! 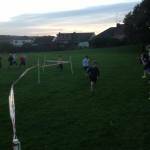 XC Friendly a success at Edwards Hall! The third Southend West SSP Friendly Cross Country took place on Tuesday at Edwards Hall School in perfect conditions - chilly and muddy underfoot! Come to our Friendly Cross Country tomorrow!